Every spring I enjoy the sound of bees pollinating the blossom in a cider apple orchard that I planted 30 years ago. This sound always signalled a good harvest. One year the bees weren’t there and the trees were silent. It was this that brought home the plight of the honey bee and prompted me to take positive action to help them. Bees were suffering already from reduced forage and systemic pesticides and new diseases. They are stressed further by modern conventional husbandry. Indeed, this Victorian industrial practice is still used to exploit the bee for honey and profit. Our environment has been degraded so much since those times, that we need to re-think our relationship with this incredible insect and our landscape. 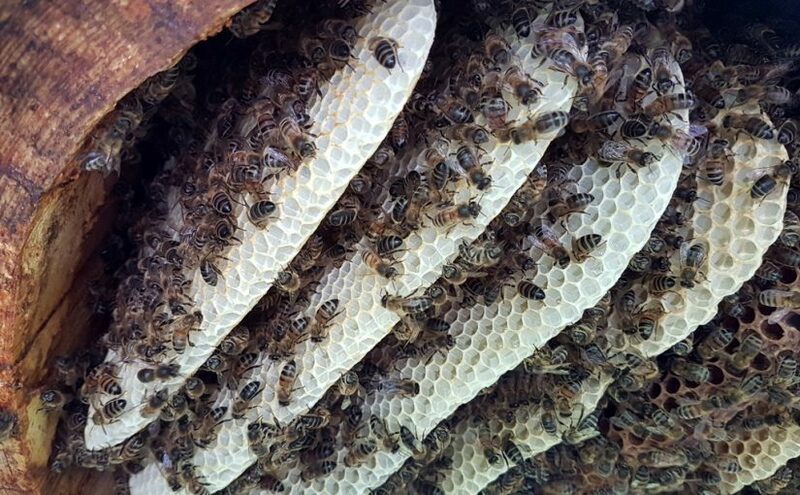 I must thank the many natural beekeepers for putting me on the right road to a more bee centred approach, but my real inspiration is the wild bee colonies living in trees, that I am lucky enough to observe. I now focus on making hives for healthier, more, vigorous bees, which can thrive with minimal interference.